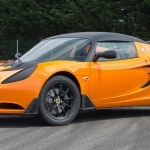 The basis of Lotus was founded on the simple philosophy of its originator Colin Chapman, “Simplify, then add lightness”, he said. This was the founding philosophy of the company and to this day that formula lives on in one of the company’s most iconic vehicles, the Lotus 7. Although that model name has not survived time, and hasn’t even survived ownership from the same automaker, the car itself lives on under the Caterham name. Looking at the history of creations at Lotus, you can see that their designs uses the least number of parts in its products, but relies on the highest levels of engineering to retain the parts function while yielding the least amount of weight and maximizing durability. This translates into a vehicle that doesn’t rely on sheer horse power for speed. Rather, the formula results in a vehicle that is nimble and all around fast no matter where it is on the track. The Lotus Seven originally debuted in 1957. Designed by Chapman himself, the Seven exemplifies the realization of Chapman’s beliefs in automotive design. When the car was released to the public, it was received great success because of it’s appeal as a road car that provided that open air feeling, while hidden beneath the skin was a highly capable weekend track car. The original Seven used a Ford four cylinder engine that produced 41 horsepower. Clearly not the most powerful engine, but that 41 horsepower didn’t have to do a lot of work either. As the Seven evolved under the Lotus brand, the car eventually saw itself grow up to become the Seven S2 in 1960, and then followed up by the Super Seven S2 the following year. Each model maintained the same chassis configuration, but the biggest change was in engine size. Said to be the final Seven that stayed true to the original car, the Seven S3 debuted in 1968. 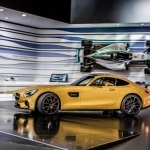 Years following, the car received a major redesign losing much of it’s original bodywork moving away from the aluminum skin and adopting fiberglass. 1973 was the year that Lotus decided to end its run of the Seven and focus the company’s energy on motor racing and producing limited run racing cars. 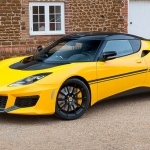 A deal was made between Lotus and Caterham, the only remaining UK distributor of the Seven at the time, and the design rights of the Seven changed hands to Caterham who still produces the Seven to this day. What you see coming out of Caterham as a modern vehicle looks like the original Seven, however, the underpinnings have evolved to a point where no part is the same as the original car. The thing that remains is the ethos of the original car which is purity in engineering and achieve performance through lightness. 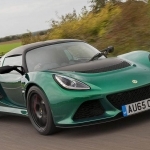 At the time of the deal, Caterham purchased all of the assembled and kit cars that were produced by Lotus. When they sold out of the Lotus Series 4 kits in the early 70s Caterham began to produce their own interpretation of the Seven. The Lotus Seven design has achieved replication levels similar to the AC Cobra kit cars. Many manufacturers have attempted their own interpretation of the original Seven over the course of time which shares similarities to the original car. However, Caterham owns various legal rights to the Lotus Seven design and name and fights to protect those rights. To this day, the Caterham brand is the most closely associated name linking a modern day performance car to the heritage and legacy created by Lotus. 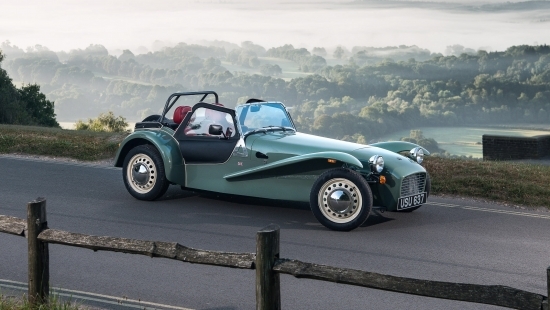 Caterham has produced various incarnations of the Seven with varying levels of performance to suite owner’s needs. The most recent Seven produced pays homage to a car built during a time when things and the world was much more simple. The new Seven doesn’t try to pack more power to the platform, rather, it strips away the unnecessary and takes on some retro styling. The new model is called the Caterham Seven Sprint. Caterham says the Seven Sprint is a design “that was seemingly planned in the mid-1960s but never launched.” To capitalize on this bit of information, Caterham plans to debut the car to coincide with a celebration of the Seven reaching its 60th birthday. 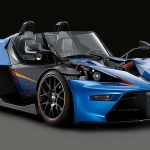 The car is based on an Europe only 160 model which uses a turbocharged Suzuki engine churning out 80hp. It is by no means the fastest Seven produced, but that wasn’t the point of the Seven Sprint which will be produced in a limited run. Carrying out the retro theme, the Seven Sprint is being offered in the original color palate that was available in the 1966 and 1967 models. With cream colored wheels, and carrying the retro styling through with a set of chrome hub caps, the car looks like it came right out of the mid-century company pamphlet. Wood adorns the interior cabin where you would normally see carbon fiber in Caterham’s performance models. One thing that’s always certain about the Seven, the car doesn’t need a lot of power to be fun. So don’t let the retro façade fool you into thinking that this is nothing more than just a slow weekend cruiser. Caterham plans to only produce 60 Seven Sprints, but it is unknown if they will make it onto North American soil. What is known is that they will be priced around $35,000.